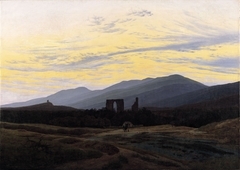 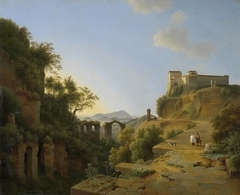 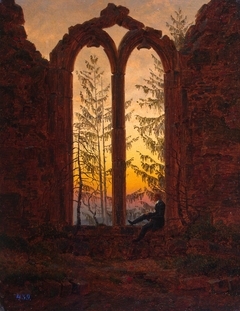 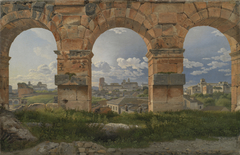 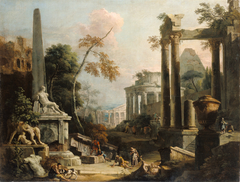 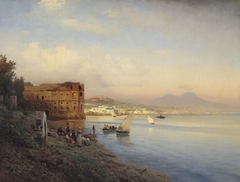 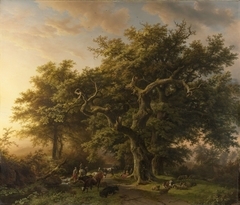 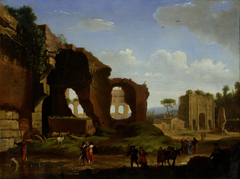 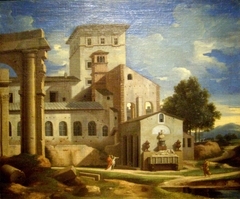 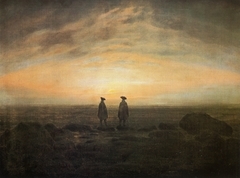 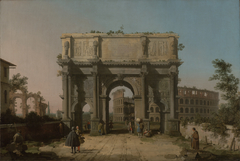 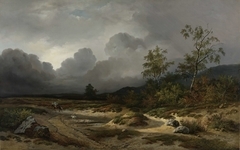 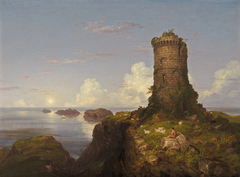 When first exhibited at the Royal Academy in 1839 with its pendant, Ancient Rome; Agrippina Landing with the Ashes of Germanicus, the painting was accompanied by a modified quotation from Lord Byron's masterpiece, Childe Harold's Pilgrimage (1818): "The moon is up, and yet it is not night, / The sun as yet divides the day with her." 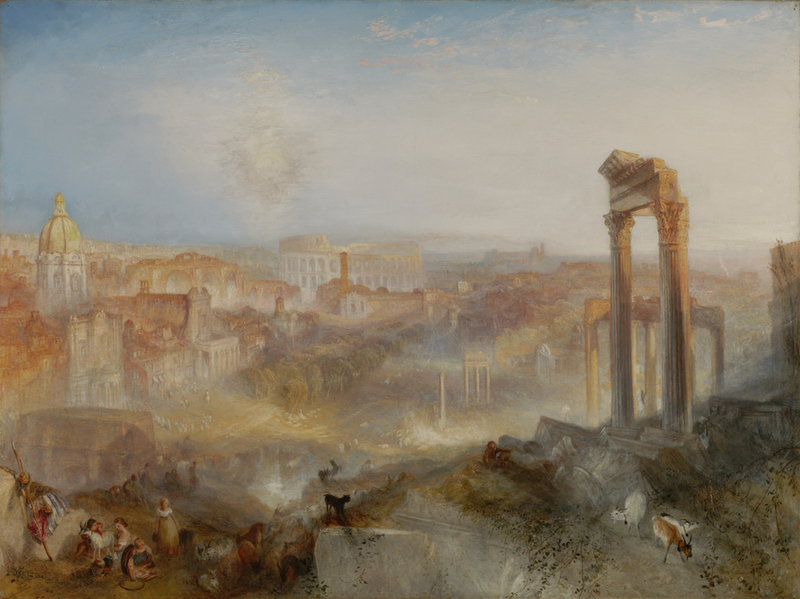 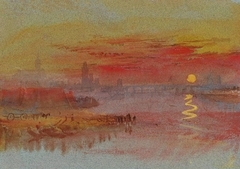 Like the poem, Turner's painting evokes the enduring sublimity of Rome, which had been for artists throughout history less a place in the real world than one in the imagination. 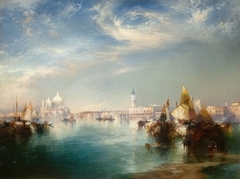 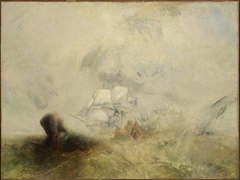 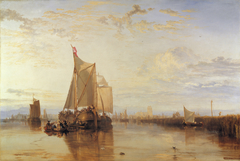 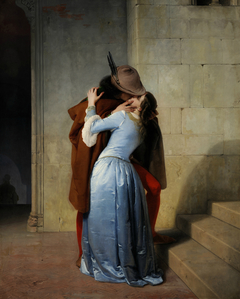 The painting is in a remarkable state of preservation and remains untouched since it left Turner's hands.